This week’s volunteer spotlight is a special double edition featuring super volunteer couple Jo & Walter Moran! Other Job: My day job is Senior Specialist, Business Intelligence and Association Management Software (database and everything that integrates with it like website, event registration, dashboards, membership) at American Geophysical Union. 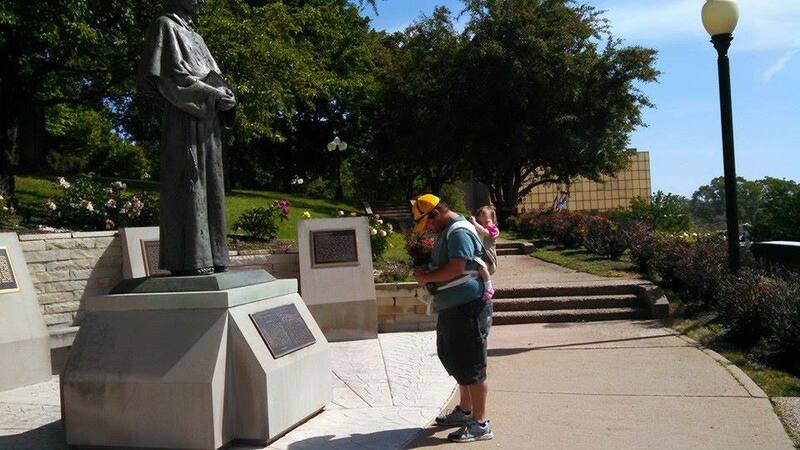 Name: Walter M. Moran Jr.
Jo: I’m not sure how I actually “discovered” babywearing, I guess I had been vaguely aware of it for years from general pop culture exposure. I didn’t realize how many options there were and all the benefits until much later. 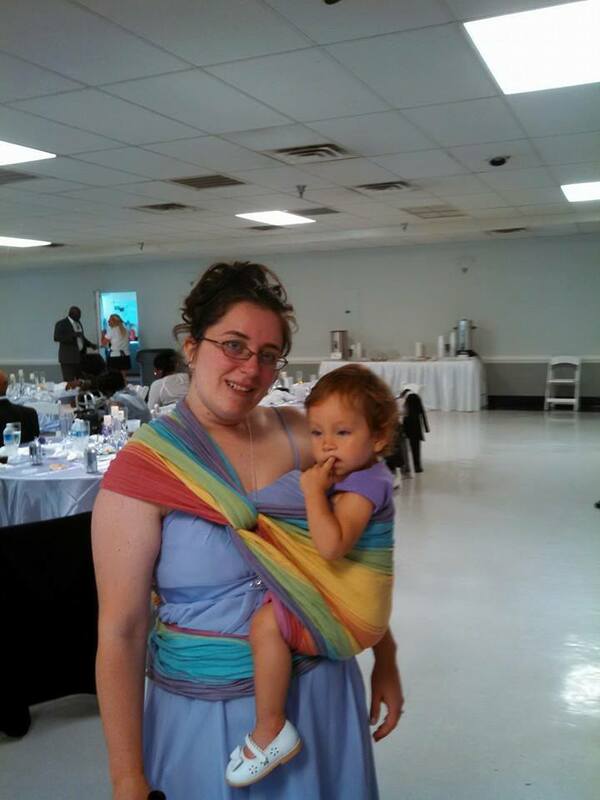 Jo: My sister-in-law wore both her children and passed down the Maya Wrap Ring Sling and Pouch Sling she used with them (bought in 1999 and still in great condition!). I also received two off-brand Soft Structure Carriers from friends and family as shower gifts. 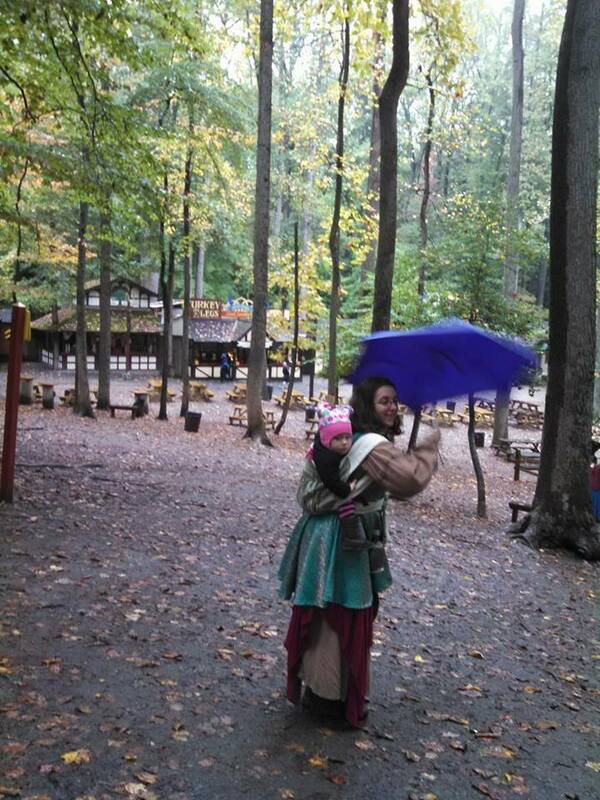 I knew there were times I wouldn’t want a stroller, so babywearing would be the perfect alternative. 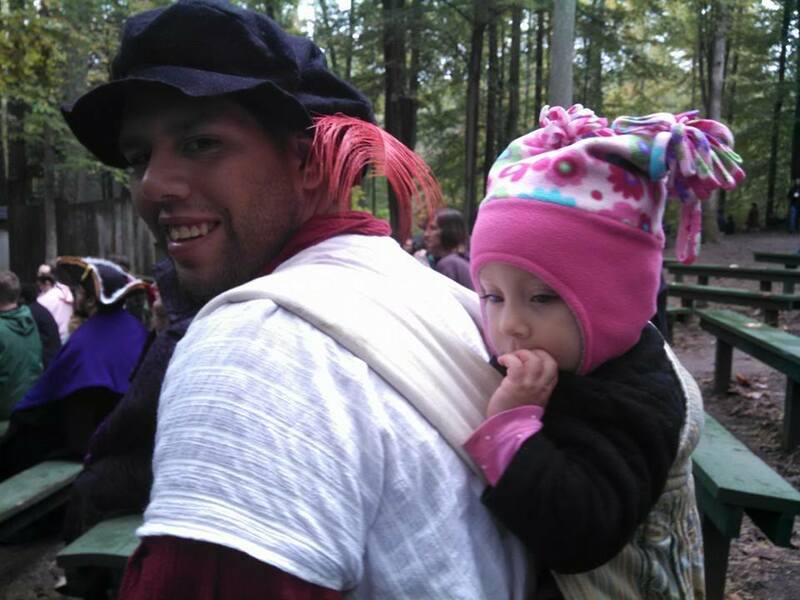 Has a particular person been influential in your babywearing adventure? If so, what did they do that was so influential? Jo: Jennah! I wouldn’t have known about our group if it wasn’t for her. Jennah and I went to High School together (as did a few other members on here, CHS ’01!) 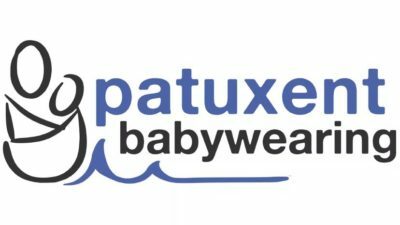 and her posts on Facebook about Patuxent Babywearing and how important babywearing was for her prompted me to attend my first meeting and join the groups. Jo: Wraps! I love the versatility and custom fit created with wraps. I also like that with pretty much any size I can do several different carries and change carries based on our needs and the current situation. My daughter is known for nap striking, but she can’t resist the sleepy dust of a nice back wrap walk. Once she’s asleep, I’ll move her to my front (she doesn’t like things over her head so I can’t just let her lop around on my back, lol). And then when she wakes up and is still a little grumpy I’ll move her to my hip until she’s awake and ready to run off again. Jo: For sentimental reasons, my Maya ring sling. Jo: I just recently tried one of the Diva Essenza meh dais and am now convinced that I need to get a wrap strap meh dai. 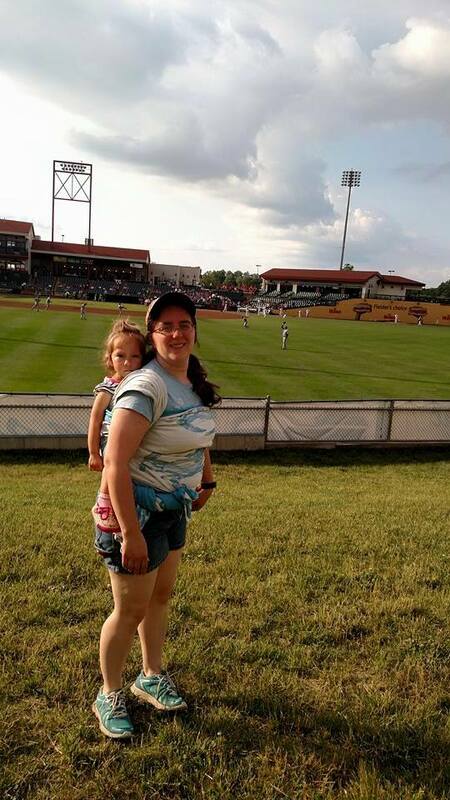 Jo: My husband and I have a fairly active lifestyle and do a lot of hiking/geocaching. 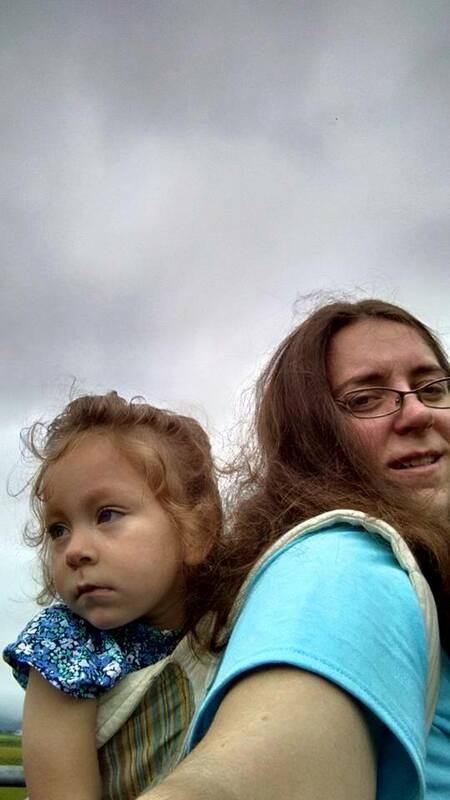 Babywearing has allowed us to keep enjoying the great outdoors and introduce Amelia to the wonders of nature. Walter: Easy to do things with an active two year old. 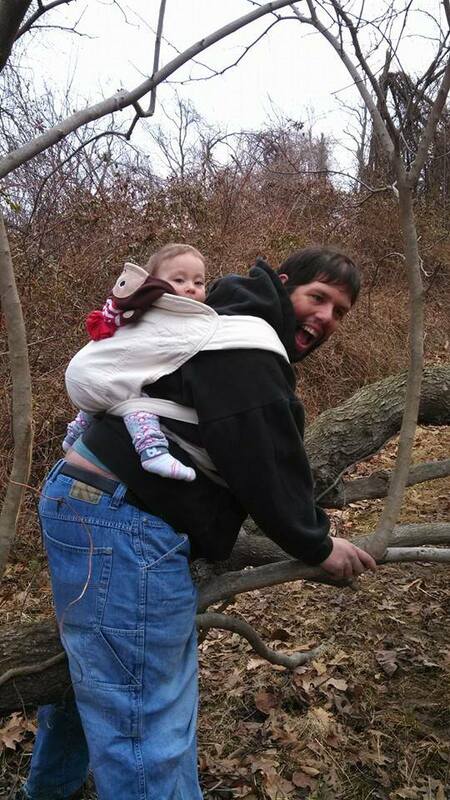 Do you have a funny babywearing story? Jo: I think I’ve heard some similar stories on the chatter group, but found this pretty amusing. It seems like Dads get really excited when they see another babywearer. We had just arrived at the Summerseat Plant Sale and were headed up the hill when my husband noticed another lady wearing their child in a ring sling headed right in our direction. He was so excited to see another babywearer, but acted a bit disappointed when it was “just Jennah”. Jo: While hiking, and if she needs a nap while we’re out and about. Jo: A base size wrap. Walter: A Meh Dai, easy and ready to go . . .
You just woke up from a babywearing dream – what carrier were you dreaming about and why? Jo: A soft structure carrier that fits both me and my hubby perfectly. I have yet to find a SSC we both like and feel comfortable with. 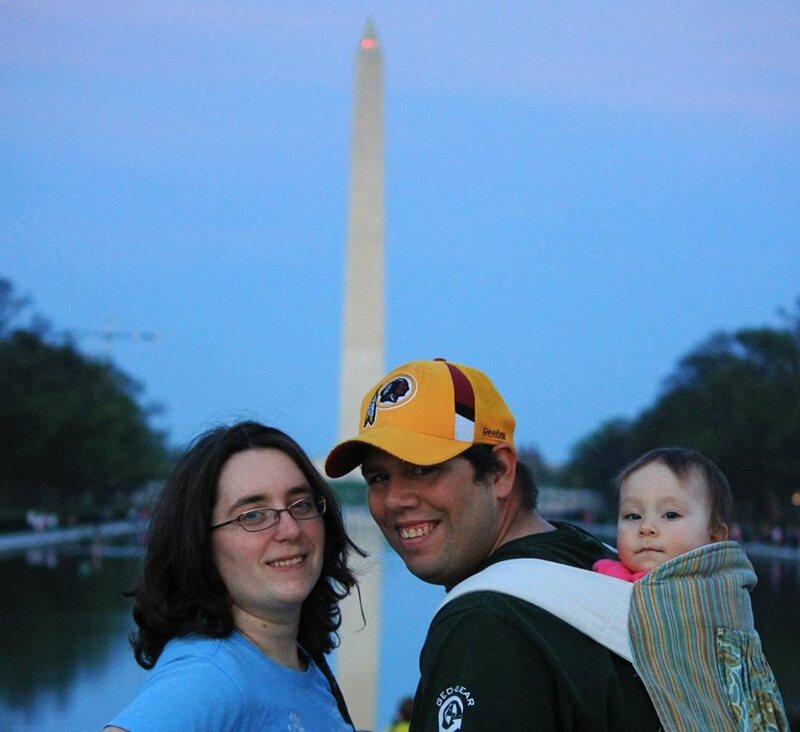 Why did you decide to become a Patuxent Babywearing Volunteer? Jo: I wanted to help others experience the joy of finding a carrier that was comfortable for both them and their child. 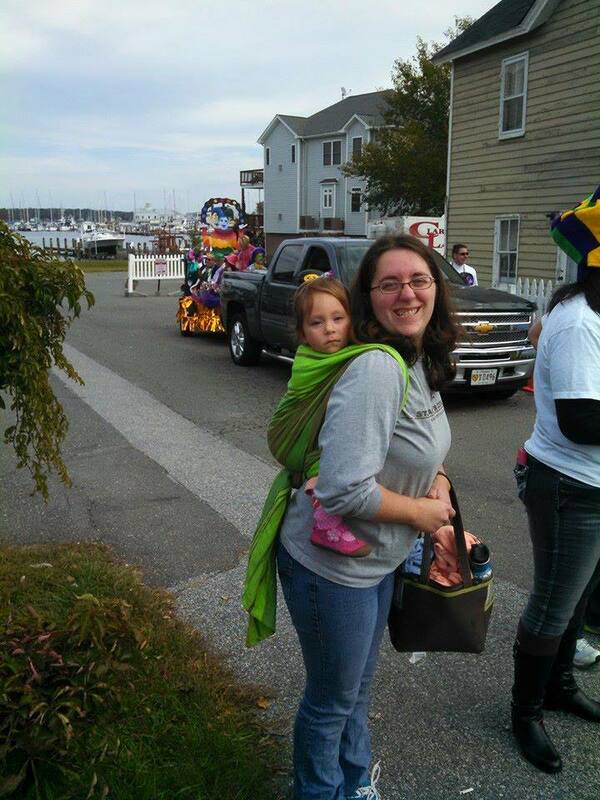 Do you have a favorite moment assisting someone with babywearing? Jo: Watching someone have that “aha” moment when they realize how they can make babywearing easier for themselves, may it be fixing an issue they were having with a carrier or trying something new for the first time. Jo: The chatter community. Everyone is always so helpful and it’s become a place for support and chatter beyond babywearing topics. Jo: I was at a geocaching picnic when I was flagged down by two ladies who have children around the same age as my daughter. The one had tried to learn a back wrap carry from a YouTube video and just wasn’t getting it and the other one knew I wrapped so they sought me out! I convinced her to try another carry and helped her wrap and create a good seat. Her daughter stayed up in that carry for a little over an hour and she kept thanking me. It was that interaction that made me decide to go ahead and start studying to be a babywearing educator. Jo: The differences in fit between all the different soft structure carriers. Jo: Geocaching, hiking, biking, kayaking, camping, music. Jo: Read, spend time with family and friends. Jo: I am a Southern Maryland native and have lived in either St. Mary’s or Charles Counties my whole life.